I kind of cheated on this one because I bought a marinated pork tenderloin and used store bought organic bbq sauce, but it was so good I had to share it. They turned out so tender! I served them with red cabbage slaw…nom nom, hope you enjoy! When the pork is done take two forks and separate to make it into pulled pork. 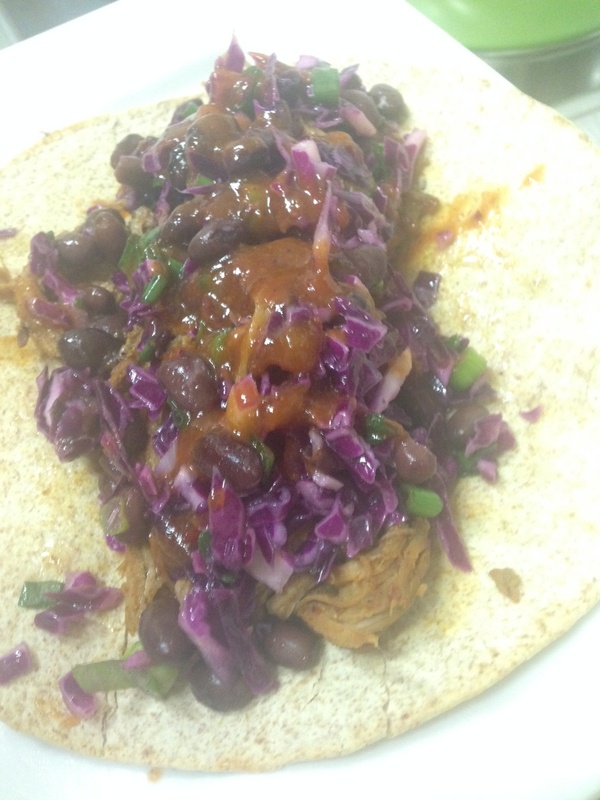 Serve with the red cabbage slaw on a whole wheat tortilla. I like to pop my tortilla in the oven under high broil for a couple of minutes to heat it up! Sorry- not the best photo quality!